In the twenty-first century, people are destined to face the serious situation of garbage disposal. Improving the environment and the treatment of garbage are the foundation of human derivation. 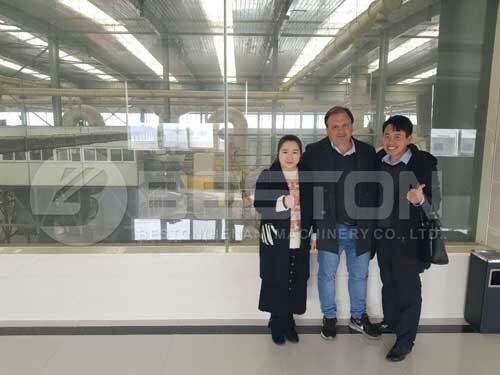 With 18+ years’ continuous researching, improving and updating of solid waste management plant, Beston (Henan) Machinery Co. ltd. has become a leader in waste recycling field. The environmental project has become more and more popular in the world and will be established all over the world. 3. Zero emissions and no secondary pollution. At the same time, it also has solved the bad results caused by incinerator facilities. The biggest drawback of incineration is to produce large amount of dioxin. After burning, the ashes still need to be filled and will produce dioxin, which is extremely strong with reproductive toxicity, immunotoxicity and endocrine toxicity. Most terrible, it has a strong environmental retention. In view of this, the garbage disposal methods of landfill and incineration will leave sequelae! Beston urban solid waste management project can get rid of land reclamation, incineration of garbage disposal deficiencies. We are aimed to create: fast, harmless, no surplus, recycling of resources, the industrialization of garbage disposal system. The garbage at the day can be disposed in one day. Go is rubbish, and come out is products. Beston can help you turning waste to treasure with low cost and high profits. The difficulties of rubbish recycling are: garbage mixed state, perishable, technology innovation of organic treatment. 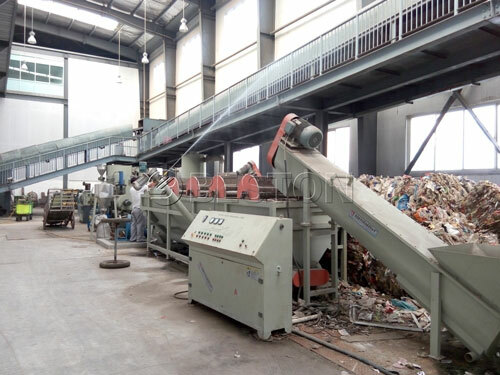 Beston environmental-protection urban and rural garbage recycling plant can solve the problems from the technical level. 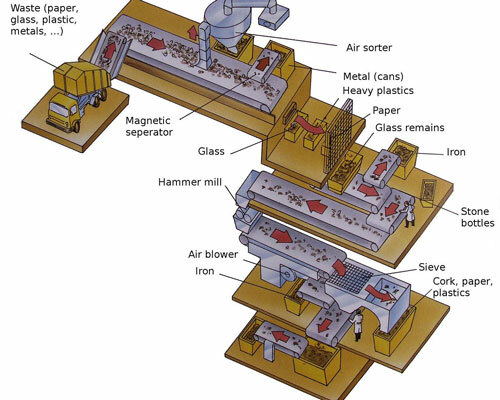 The solid waste can be perfectly disposed through these systems: large-scale garbage sorting system; large-scale garbage crushing system; wind election system; magnetic separation system; particle selection system; manual sorting system; comprehensive sorting system… these systems work together and cooperate with each other, to lay a solid foundation for the next process. The useful resources can be sorted out from the mixed municipal solid waste, and will be further processed by the related following devices. In this way, the plant can finally achieve the goal of waste to energy. With rich experience, mature technology, high-quality devices and top-class service, Beston solid waste treatment has been established both at home and abroad. The plant has successfully helped improving the environment and driving the local economy. We have developed a series of environmental products, including household waste management plant, trash sorting plant, etc. We will provide the most suitable machine for you! Welcome!